Justine Ezarik is an American YouTube personality, host, actress, and model. She is best known as iJustine, with over a billion views across her YouTube channels since 2006. 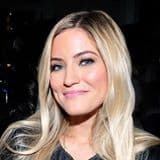 She gained attention as a lifecaster who communicated directly with her millions of viewers on her Justin.tv channel, ijustine.tv.